Description: The Ragdoll is a semi-longhaired pointed cat of considerable size, with a very sweet and docile disposition. The ideal Ragdoll grows exceptionally large and heavy. Full development of colour is not achieved until two years of age. Full weight and size are not achieved until the cat is at least four years of age. The head is or medium length and is a broad, modified wedge with rounded contours, with a flat plane between the ears. The chin is well-developed. The nose profile shows a gentle stop. The medium-sized ears form a continuation of the modified wedge. The eyes are to be blue and are large and oval. 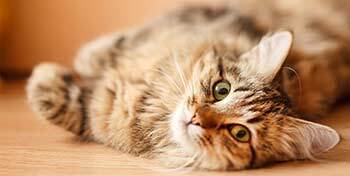 The cat should be firm with no fat except on the lower abdomen. The long body should be large and substantial, with a full, broad chest. The tail should be long. The legs are medium in length with medium-heavy boning and musculature. The back legs are to be higher than the front legs. The feet are large, round and tufted between the toes. The semi-longhaired coat lies with the body but separates as the cat moves. It is longest around the neck, giving the appearance of a bib. It is shortest on the face and medium to long on the sides, stomach and on the hind legs, where it is thick and feather-like. Ragdolls are shown in solid point and parti-colour (mitted and bi-colour patterns only) and in seal chocolate, cinnamon, blue, frost and fawn colours. History: The exact origin of the Ragdoll is unknown. The breed may be only -about twenty years old, and it is not known whether this is a man-made cat or a stroke of nature. The early Ragdolls, so the story goes, were the result of kittens born to a white Persian who was injured in an automobile accident. The kittens were supposedly free of pain or fear and were very docile. Most biologists would dispute this theory! 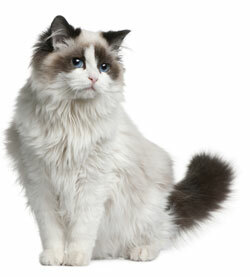 The genotype of the Ragdoll would have to include both the gene for points and the gene for white spotting. If one of the parents was a white Persian, it would most probably be a dominant white with white spotting, carrying one gene for pointed. There is no information about the sire. He would have to be either a pointed cat or a cat carrying the pointed gene. Temperament: Ragdolls are docile, gentle, quite and easy to get along with. 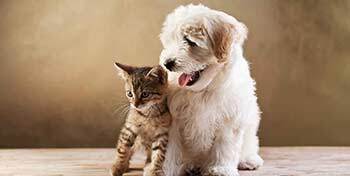 They enjoy human companionship and seem to have a "nothing bothers me" attitude toward life. 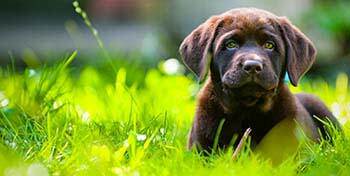 The make sweet and endearing pets and are very easy to show, due to their gentle nature. Children and Ragdolls mix very well; the cats appear to love being carried around by children.